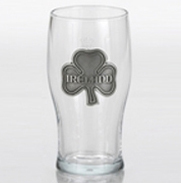 You will not believe the St. Patrick�s Party Supplies that we carry on our site. If you are looking to have fun the right way, we have everything green that you could possibly need. Find decorations and accessories that you can use to dress up and give out to all of your friends. 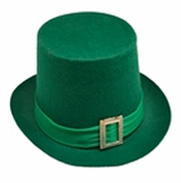 Look through our supplies for St. Patrick�s Day today and you will not be disappointed! If you need to plan a party or parade in the middle of March, then the luck of the Irish definitely brought you to the right place. Even if you are just looking to go out gallivanting and having a good time, we have plenty of items that will satisfy your need. Check out all of the awesome supplies that we have here and you will find a hundred different things that you will think are worth buying for your St. Patrick�s Day party. If you want to buy in bulk for a bunch of people, we have very affordable prices and big package discounts. Have fun shopping online today! Order everything you need all at once and save big. We have great deals if you buy high volume, so you can get everything for everyone that will be in attendance at your event. 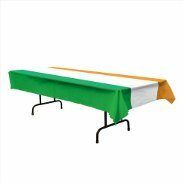 If you own a bar or are throwing a big St. Paddy�s Day party and are planning on decorating for all of your patrons or guests, we have all of the supplies to can make sure your place gets fully decked out in all of the greenest gear possible. Search through our inventory today and you are sure to find a bunch of different things that can help everyone feel the vibes. Our St Patricks Day party supplies are as good as it gets. You can get stuff for yourself, so everyone loves your overall look, or get a ton of beads and leis that you can throw around and hand out to your friends and family and any other people that you may meet.